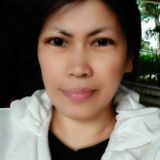 I am active,caring and loving Filipina nanny! Want to connect with vilma? Cooking food for the family and preparing school lunch and snacks. Feeding the child at proper time and helping him or her to take a bath, get dressed and get ready for the school. Maintaining personal hygiene of the child. Transporting the children to and from various places like, the school, the playgroups, the playground, botanical and zoological park. Tutoring the kids and attending any kind of event with the children. Helping children in reading and doing their home works, teaching creative arts and crafts. Encouraging the children to participate in creative and educational activities. Teaching good manners to the children, especially the way they are supposed to talk and behave with others. Looking after the overall growth and development of the children. Keeping the parents well informed about their childs health, as well as his or her progress in education or learning. Keeping childrens room organized and clean. Do all household works such as: ironing, dusting and cleaning, vacuuming, mopping and washing the dishes. As a mother of 2 healthy kids, I am well equipped with Personality development, Baby sitting, Child and Adolescent development care, First Aid theory and practice, housekeeping theory and practice, Home safety, Nutrition, Basic Human Anatomy and Physiology, Rehabilitation and Restorative care. Full Time Part Time And Occasional Nanny ! Experienced Nanny with a car looking for THE job!